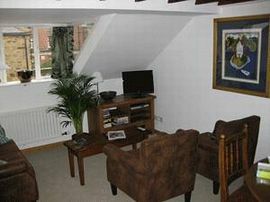 A charming beamed two-bedroomed apartment, complete with 1 double and 1 twin above the Bakehouse Gallery in Alnwick. The accommodation is close to all amenities, tastefully decorated and full of character; an ideal location from which to tour and explore the Northumberland coastline. This modern and stylish accommodation is full of character and provides all facilities guests will require on a stay from home. With beautiful beamed ceilings and cosy decor, this apartment provides the perfect haven for guests to relax in, after a busy day exploring the beautiful surroundings. 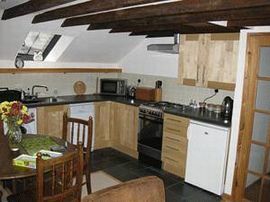 Within walking distance and only minutes from Alnwick castle, Alnwick gardens and all amenities. Welcome to a land far from the hustle and bustle of everyday life, in a county brimming with places to see and things to do, amongst the most spectacular of landscapes. Explore mile upon mile of gloriously uncrowded golden sandy beaches and stunning countryside, set amongst two areas of outstanding natural beauty and the rugged Northumberland National Park. Discover more castles than anywhere else in England, the birthplace of English Christianity on the Holy Island of Lindisfarne, the historic World Heritage site of Hadrian's Wall, stunning Alnwick gardens, picturesque towns and villages and at the end of it all a great place to stay. The medieval Alnwick castle dominates this picturesque Northumbrian town, home to the Duke and Duchess of Northumberland. The Alnwick Garden is one of the most magnificient in Europe, covers 12 acres and plays host to the largest treehouse in Europe. During the summer Alnwick hosts several interesting events, including the International Music Festival held the first week in August. Barter Books, one of the largest second-hand bookshops in Britain, is based at the listed Victorian railway station just 5 minutes walk away. Although in the midst of Northumberland's countryside, Newcastle Upon Tyne is just 40 minutes by car, where you can visit the famous Metro Centre and Eldon Square, both with excellent shopping facilities. Edinburgh centre is easily reached by train from Alnmouth. 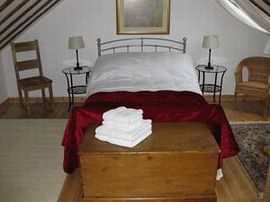 Local Services: Close to Alnwick Castle, Alnwick Garden and all amenities. Follow brown tourist signs on entering Alnwick. £295.00 to £495.00 low season. 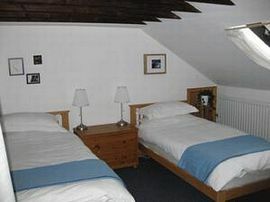 3 day breaks available during low season from £195.00.